Get an experienced engineer in to look after your boiler. Call us in Goring-by-Sea, West Sussex, for a complete gas boiler service that keeps everything running efficiently. Get your boiler regularly maintained and you could extend its component life by as much as 30%. Phoenix Plumbing & Heating are on hand to carry out this annual check, and make sure your boiler is running as safely and effectively as it can. A recent survey revealed that as few as 58% of homeowners have had their heating equipment professionally serviced on an annual basis. Most treat this as an unnecessary expense, especially when there doesn't appear to be anything wrong with the boiler. Don't be caught out with an inefficient boiler. 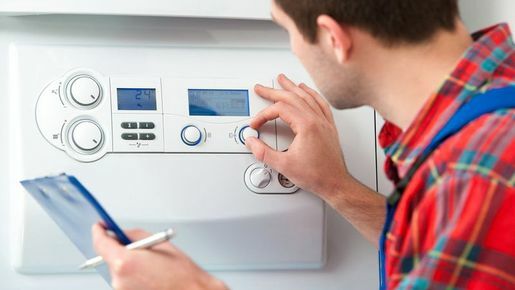 Neglecting to regularly maintain your boiler and central heating equipment can eventually incur increased costs in repairs. By organising regular servicing, you could buy an additional five to ten years of reliable use of your gas boiler. Most heating engineers will tell you that about 75% of all repairs they do could have been avoided with regular maintenance. Heating system repairs typically run into hundreds of pounds, yet many people will only consider calling an engineer when the problem has already occurred. Protect yourself and your loved ones from the devastating effects of carbon monoxide. Small cracks in a heat exchanger or problems with the flue system could allow deadly carbon monoxide gas to seep into your home. Accidental carbon monoxide poisoning causes a reported 50 deaths every year in the UK. A trained service technician knows how to spot the danger signs in the system. Contact Phoenix Plumbing & Heating for a complete gas boiler service that increases the life of your appliance and reduces the risk of costly repairs.